The manager of a tea estate in the Terai was dragged out of his bungalow, assaulted and kept confined for over five hours today by a section of labourers who refused to accept a condition reached on between the management and trade unions. Dilip Mukherjee, the manager of Hansqua Tea Estate, located off NH31 and around 20km from here, was freed around 6.30pm. Sources in the Tea Association of India said there were around 1,750 workers in Hansqua. "The management of Hansqua takes every social responsibility and is known to be regular in payment of wages and meet other entitlements of workers. According to an agreement signed between the management and unions on February 28, it was decided that workers would have to pluck 24kg of tealeaves, instead of 22kg, and they would have to work in double shifts during peak production," Sumit Ghosh, the secretary of the Terai branch of the Tea Association of India, said. 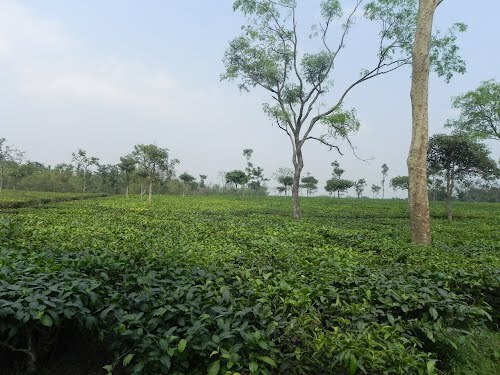 ea industry sources said in most tea gardens, a worker had to pluck 26kg of leaves a day. Today, around 150 labourers walked up to the manager's bungalow and said they could not pluck 22kg of tealeaves a day. Mukherjee tried to reason with the workers, but they dragged him out of the bungalow. "He was thrashed and forcibly taken to the garden office. There, he had been kept under confinement. The manager was released after the agitators forcefully took an undertaking from him that workers wouldn't have to pluck 24kg of tealeaves," said a source. A tea planter said: "Demonstrating in the garden office in a peaceful manner is different from assaulting a manager. The joint labour commissioner of Siliguri has called a meeting on March 4 to discuss the agreement."